The Metropolitan Museum of Art, one of the world’s finest museums, is seeking a Collections Assistant in the Antoino Ratti Textile Center Department. Working under the direction of the Ratti Center’s Collections Manager, the Collections Assistant will provide collections care support, as well as, prepare objects for viewing. 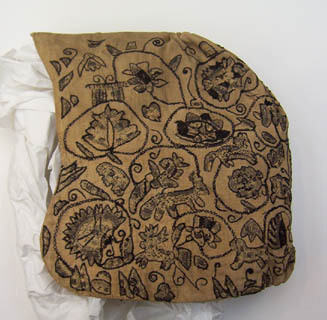 Additional responsibilities include, creating storage support for textile objects, monitoring and maintaining storeroom environment, as well as, monitoring the conditions of the textile objects. Successful candidates will have at least 1-3 years museum experience. Art handling experience preferred. Knowledge of textile history or study, collections management and database systems is required. BA. in Art History or Textile Studies required. Strong computer skills and familiarity with The Museum System database preferred. Basic knowledge of the use of microscopes (stereo and video) preferred. Good organization and communications skills are required. Please send cover letter, resume, and salary history as a Word attachment with the position title in the subject line to employoppty@metmuseum.org.